Travelling and photographing the north of Chile was one of my highlights during my journey around the world. 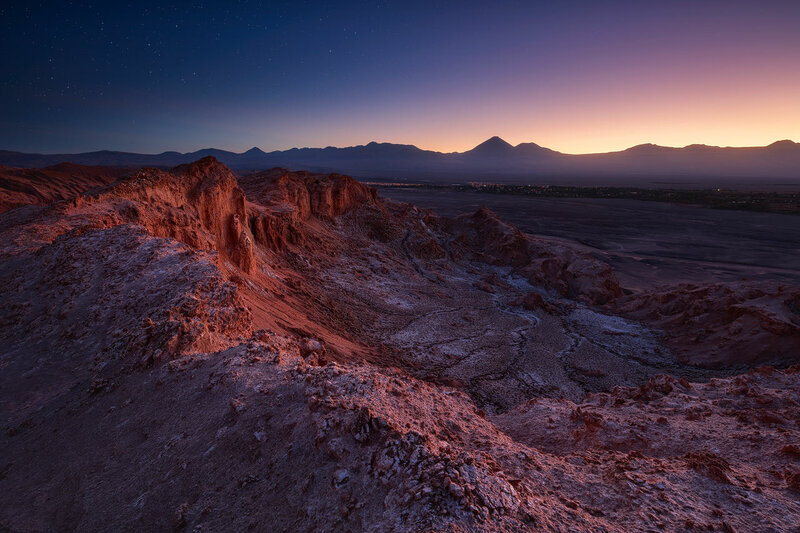 The landscapes of the Atacama desert were uncomparable to anything I had seen before. It was the perfect place for landscape photography because there were still new viewpoints and compositions to find. Landscapes like Valle de la Luna or Valle de Marte provide such fascinating views that it was a pleasure to wander around and explore.